More than Six Months of Gardening in Minnesota? Yep. This past week, I picked basil in my garden and made pesto — a typical garden activity for August or September, but it’s late October in Minnesota and the garden has been growing strong since early April. The petunias on my front porch are in full — glorious, really — bloom, and with the wimpy frosts we’ve had, many annuals that have never been covered are still blooming like it’s mid-July. 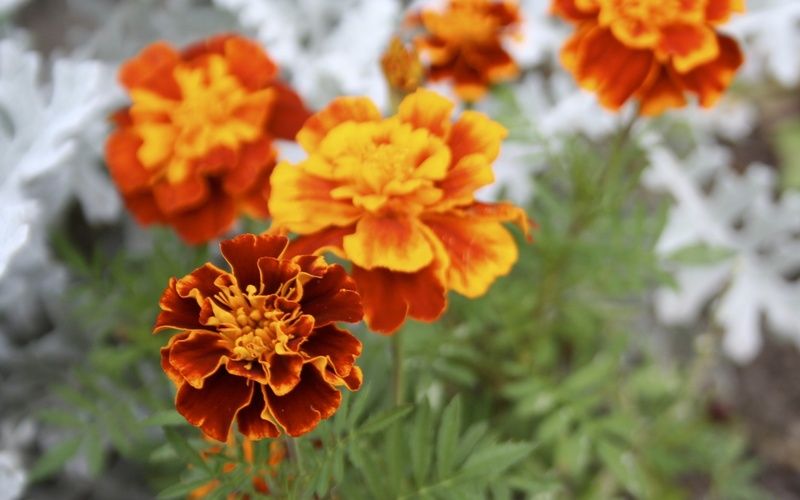 Marigolds and other annuals are still blooming strong. We’ve enjoyed more than six months of solid gardening in Minnesota this year — a season that is by my estimate at least two and maybe four weeks longer than normal. The combination of a near perfect winter in 2009-2010 with plenty of snowfall and an early snow melt followed by very moderate spring temperatures put most gardens two weeks ahead of normal this spring. On the backside of the season, an extended Indian summer has lengthened bloom and harvest times. 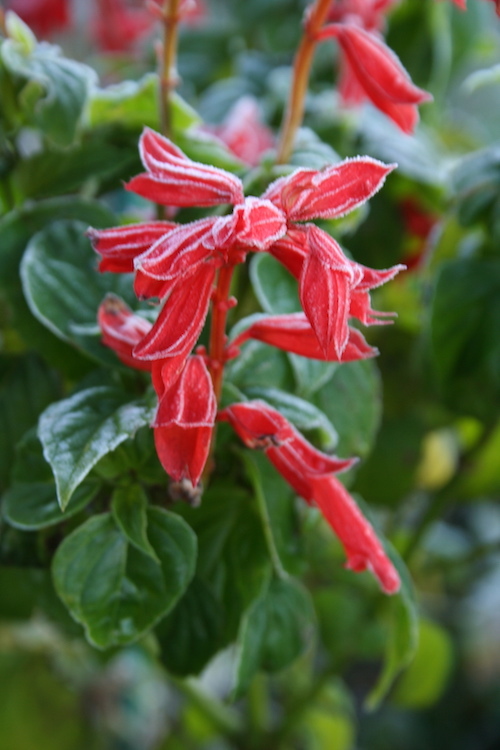 Salvia were hit by frost on Oct. 3, but much of the garden continues to grow well. In my garden south of the Twin Cities, we had a legitimate frost Oct. 3, when the overnight temperature dropped to 32, but since then the weather has been more like mid-September than mid-October. According to climate data maintained by the University of Minnesota, by late October all of Minnesota except its warmest spots (Minneapolis-St. Paul Airport, Winona, and Stillwater on the U’s chart) should have not only experienced a frost, but a hard freeze, which is an overnight temperature of 24 degrees F. We haven’t even come close to that — and while the forecast for this week calls for rain and cooler temperatures, overnight lows won’t fall much below 30. Whether this is an aberrant year or the hallmark of a trend, it is both exciting and frightening to Minnesota gardeners. The prospect of another few weeks of warm weather means our gardening choices expand significantly. Japanese maples — no problem. Peach trees — sure, give them a try. Harvest lettuce from April until Thanksgiving — you can do it with a little cover. Suddenly, we’re gardening more like Chicago or Des Moines than Fargo or Winnipeg. But with more heat (and possibly more precipitation) come new bugs and diseases and a great deal more uncertainty. Can we plant longer season vegetables, like some melons and tomatoes, confidently? Or should we stick with proven plants and varieties? How much can gardeners “push the zone”? For now, gardeners may want to consider a two-pronged approach. First, rather than going strictly by the calendar, try using phenology — the study of nature signs — to determine when to plant or do other garden chores. Several Minnesota websites describe these nature signs and their relationship to gardening. (My favorite is to plant peas when the spring peepers come out.) The second approach is purely practical: If you want to push the zone, don’t buy anything you can’t afford to lose. So, if you have your heart set on growing peaches in Minnesota, give it a shot, but plant your tree in the warmest spot you’ve got and be prepared to see a dead tree come spring. In the meantime, I’m heading out to admire my flowers. This can’t last much longer. Really. That’s great that you had extra weeks of the gardening season. It’s been unseasonabley warm this week and our plants love it. Yes, it has been the same here in Wisconsin, and it kind of gives me an unsettled feeling, too. As you say, more bugs to deal with, more diseases and the temptation to plant things way out of my zone and budget, too! So, yes, it’s been great on one hand and kinda creepy on the other. I like the idea of phenology, and will have to read up on it. I know my animals can sense when things are changing. Time for us to take heed. Now if we can just survive this wind storm! Hope all is well with you in Minnesota. Like you say, it’s hard to know whether to be happy or suspicious about the long summer. And it’s sort of un-Minnesota-like, isn’t it. 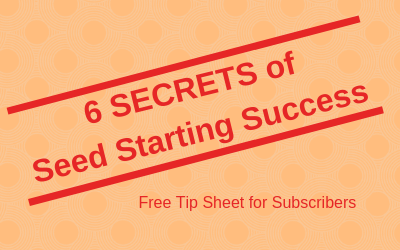 Your ideas about how to deal with it sound practical and doable.